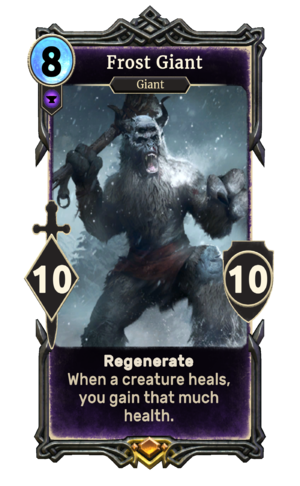 Frost Giant is a legendary Endurance creature card. It is part of the Heroes of Skyrim expansion. Frost Giants first appeared in Skyrim, though Karstaag, who appeared in Morrowind's Bloodmoon expansion was later identified as a Frost Giant.